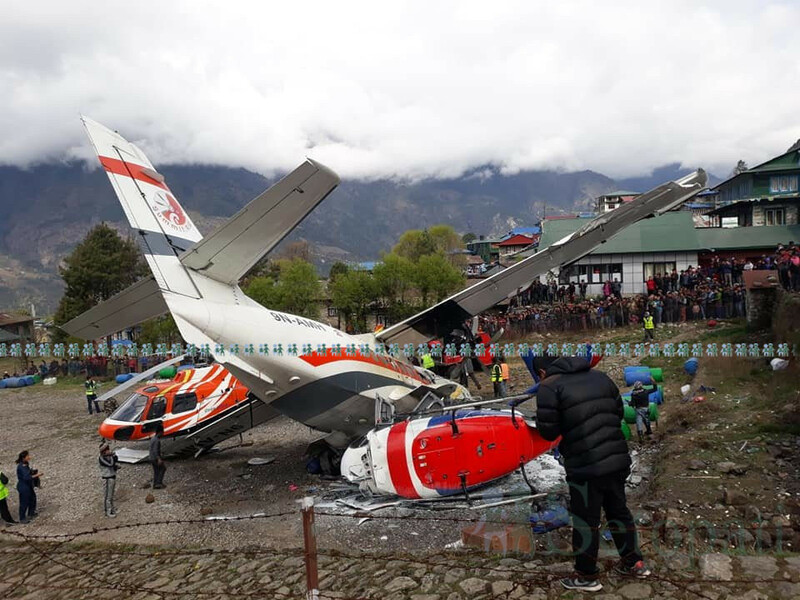 The accident happened at Lukla airport which is the main gateway to the Everest region and is reputed to be one of the most hard in the world for landings and take-offs. Lukla is the starting point for those looking to trek to Mount Everest base camp. The other pilot from the plane and the helicopter pilot are among the injured - they were airlifted to Kathmandu. It is open only to helicopters and small fixed-wing aircraft.